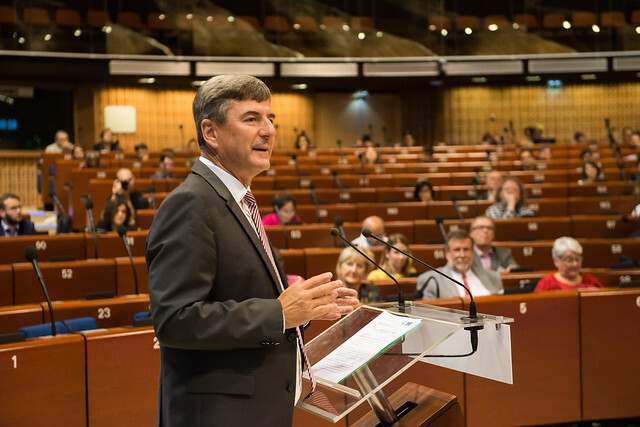 The Secretary General of the Congress shall be answerable to the Congress and its organs and act under the authority of Secretary General of the Council of Europe Thorbjørn JAGLAND. The Secretary General of the Congress must ensure the smooth functioning of the Congress and its bodies and the follow-up of their decisions. He is also responsible for transmitting texts adopted by the Congress to the Parliamentary Assembly and the Committee of Ministers, as well as for the efficient management of the human and financial resources of the Congress. Jean-Philippe Bozouls is Director of the Congress of Local and Regional Authorities. The Director of the Congress is responsible for assisting the Secretary General with the management of the Congress Secretariat and with the fulfilment of the Congress mandate, providing support for its various bodies, and to contribute to the development and the implementation of the objectives of the Congress. The Director is appointed by the Secretary General of the Council of Europe following consultation of the Bureau of the Congress.